In 2002, members of the IBRG visited the disputed Danubian riverside territory of Karapandza [marked ”K” on the right-hand map] in search of the HRHUYU tripoint, i.e. the place where Croatia, Hungary and [the then rump-] Yugoslavia meet. Walking towards the south-east from the Hungarian village of Hoduna, we soon came to a Hungarian border marker [the violet arrow on the map] shown in Photo One. The local Hungarian border guard could not tell us whether this was the Hungarian border with Croatia or with Yugoslavia. The territory of Karapandza has been claimed by both Croatia and [present-day] Serbia since the disintegration of former Yugoslavia. 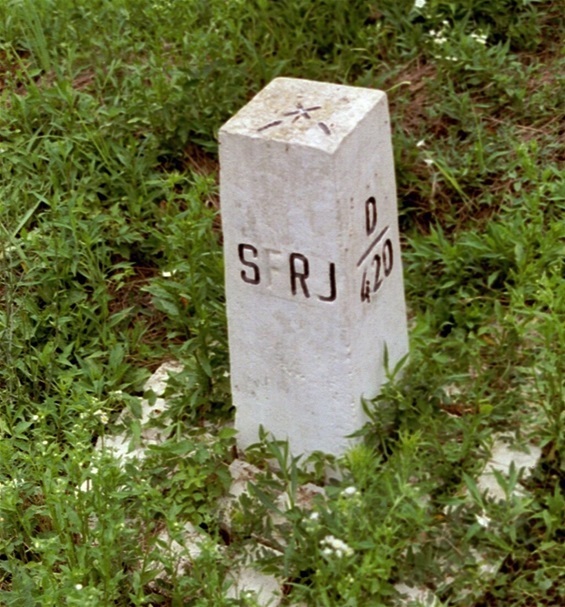 The territory is currently controlled by Serbia, and the presumed HRHUSR tripoint is thus located in the middle of the Danube River. 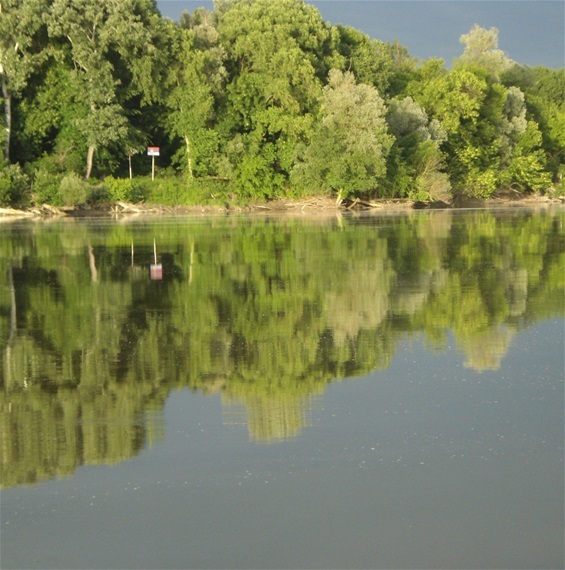 Photo Two [taken in 2018 from a river vessel moving from Hungarian territory southwards] shows the Serbian flag on the riverside of Karapandza [the red arrow on the left-hand side of the violet arrow on the map] and the presumed tripoint in the Danube river [at the bottom of the photo, very near the camera]. 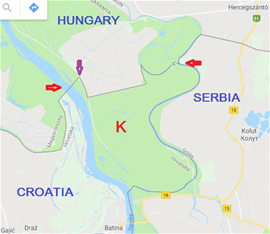 The alternative [less likely] tripoint [assuming that the territory of Karapandza is in fact Croatian], is less than 6 kilometres to the east [marked by the red arrow on the right-hand side of the violet arrow].